Brown’s Air Conditioning and Heating LLC provides full-service heating and air conditioning repair for residential and commercial properties. Scheduled and emergency services are available. We don’t stop working until the job is done right! 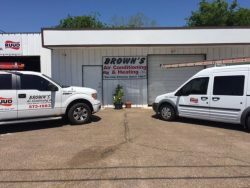 Locally-owned and -operated, Brown’s Air Conditioning and Heating LLC has been the leader in AC repair in Victoria, TX since our establishment in 1983. We value each and every customer like they were our only customer. This personal service and commitment to quality has made us the go-to source for HVAC services throughout the region. Offering comprehensive care for residential and commercial HVAC systems, Brown’s Air Conditioning and Heating LLC is your trusted source for service. No job is too big or small, and we won’t quit until the final details are complete. This top-level service is why home and business owners have called on us to meet their HVAC needs for more than three decades. 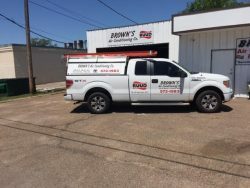 Brown’s Air Conditioning and Heating LLC offers air conditioning installation and repair, air filter services, ductless heating, heating system installation and repair, and mini split systems for both commercial and residential settings. We keep your home or business HVAC systems running smoothly in every season. Our expert technicians are available to diagnose, repair or service your equipment 24/7. 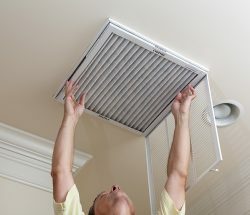 We offer regular maintenance as well as emergency air conditioning service in Victoria, TX. Our professional team invites you to join our long list of satisfied customers who have benefited from the many service advantages we have to offer. We bring three decades of experience to every job. We offer services for both residential and commercial properties. We offer a 30-day service warranty and 1-year warranty on installations. We provide free estimates on equipment replacement. The experts at Brown’s Air Conditioning and Heating LLC are ready to assist you with professional-grade installations, maintenance and repairs.